In 2014, the Royal Thai Army acquired six UH-72A Lakota helicopters from Airbus Group through the US’s foreign military sales programme. After receiving training and in-country support, the Lakotas’ first two years in operation have gone smoothly, an example of hard work and dedicated personnel. The Royal Thai Army (RTA) is Thailand’s largest military branch. In addition to conventional military undertakings, its airborne arm is responsible for Emergency Medical Services (EMS), evacuation, reconnaissance and utility services. Its rotorcraft fleet comprises a variety of makes, many of which – as in the case of its Vietnam-era Huey helicopters – are in need of replacement. To this end, the RTA acquired six new Lakota helicopters from Airbus’ North American division, Airbus Helicopters, Inc., in 2014. 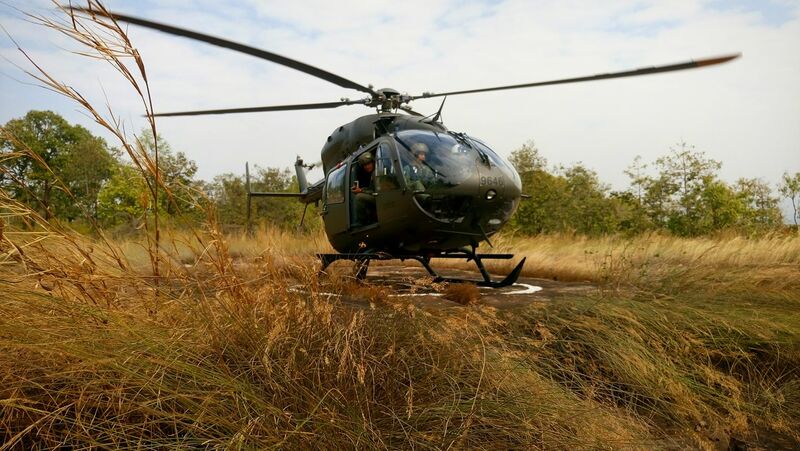 For the army’s pilots, like Captain Pongsaton, the commander of the RTA who has experience on the older helicopters, the new aircraft offer a distinct advantage. «The Lakota is very easy to fly. 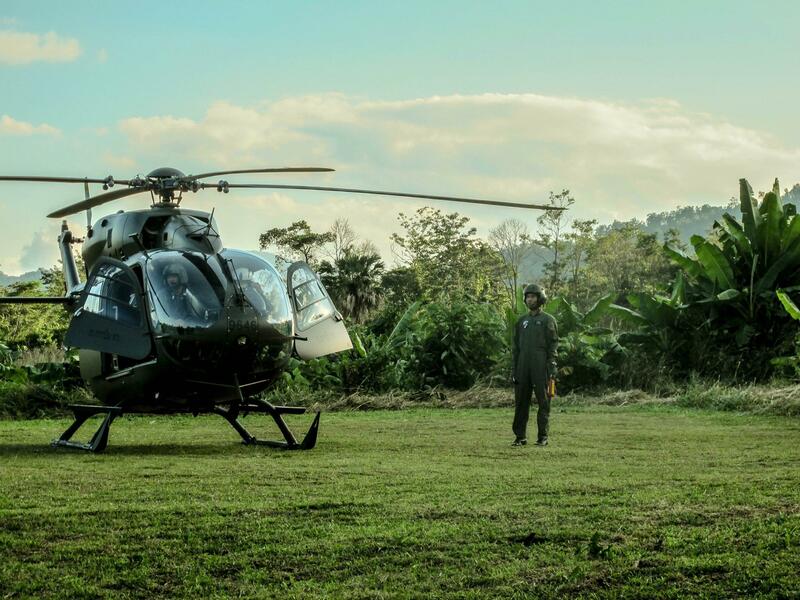 We mainly fly utility, transporting equipment to the mountains or jungle, and we need to take off in confined areas. The Lakota’s instruments and autopilot systems help us avoid obstacles». The RTA’s purchase of the Lakotas came with a unique support set-up: five weeks of training for pilots and maintenance personnel at the division’s headquarters in Grand Prairie, Texas, followed by support in the form of one field service and one logistics representative in Thailand. «The RTA saw that in-country support was needed because it was the first time they had acquired this type of helicopter», says Chong Eu Chuah, the contractor field service representative (CFSR) from Airbus. «My role is part of Airbus’ support guarantee to ensure a smooth entry into service for the Lakotas in Thailand». Originally a technician at Airbus Singapore, Chuah trained for a month in Texas along with Chong Siew Fwai, the Contractor Logistics Service Rep (CLSR). They joined a group of six RTA pilots and ten technicians who would complete theory and simulator instruction, as well as flight training on the UH-72A. In all, 18 pilots and 30 technicians trained through the programme. «We got to know our future colleagues well, as well as setting up lines of communication», says Chuah. «By the time the aircraft arrived in-country we were ready to assume our duties». In Thailand, Chuah’s responsibilities vary from troubleshooting and on-the-job training, to supporting maintenance or supplying technical assistance at one of the RTA’s five bases – Phitsanulok, Lopburi, Roi Et, Bangkok, and Nakkon Si Thammarat. «For troubleshooting, I normally drive to the sites», he says. «If it is too far (Nakhon Si Thammarat is 900 km/559 miles from Lopburi), I travel by commercial airlines. It is a tiring job but we show commitment to our customer». Speaking for the RTA’s technical staff, one mechanic offered the comment, «The RTA’s missions cannot be carried out if we don’t have perfect maintenance and a great contribution from the US Army and Airbus Helicopters in sending someone who is an expert». On the logistics side, Chong Siew Fwai set up a warehouse and inventory of Lakota spares, equipment and tools. Based in Bangkok, he handles purchase orders, equipment loans, parts shipments, and consults on nearly all logistics issues that come up with the new Lakotas. The entry into service was not without a snag. «During the initial entry into service, we faced some avionics problems, possibly due to humidity during the sea journey from the USA coupled with the rainy season in Thailand», says Chuah. However, with time, his help has shifted from problem-solving to supplying hand’s on – or even remote – training. «As the mechanics gain more experience, I do not travel to the sites as often. I can provide instructions, drawings, photos and video through smartphone». During their two years in operation, the RTA’s Lakotas have seen an availability rate of 100% when the aircraft are not scheduled for maintenance. «We selected the Lakota for use as a utility helicopter», says one pilot, speaking on behalf of his colleagues. «We like the UH-72A because it is large, comfortable and easy to fly. It’s almost too powerful when hovering into a nose wind and very stable with low vibration». Behind the Lakotas’ success is a team of dedicated people. «Chong Siew Fwai and I stayed on in Grand Prairie after the type course training to meet key personnel at Airbus in the technical support and logistics departments», says Chuah. «It is easier to help someone you know than a total stranger. I believe these are the reasons for the Lakotas’ smooth entry into service».